This Mom was really trying to figure out if her daughter’s requests were justified. Was she asking for what she needed or for what she wanted? Partly she feels angry at her daughter asking for things Mom can’t do and that makes her feel the girl is “over-demanding”. But that makes her feel guilty about the fact that she is working, and she worries that maybe her daughter really needs what she is asking for. She worries that maybe it is her own fault she is not able to meet these requests. There is another part to the confusion about needs and wants that is expressed in what this mother is saying. She is trying to determine if the requests are legitimate as a way of deciding whether her daughter is “over-demanding”. Another word someone might use is “spoiled”. So the implication is that one of them is at fault; either Mom is to blame for not being able to meet the requests, or her child is to blame for asking. This is a very common response to conflict, not just between mother and child, but between people in general. We often try to resolve a conflict by asserting that one person is right and the other wrong, one position is justified and the other one isn’t. In the example here, if the daughter is over-demanding then Mom is justified in not meeting her requests and does not have to feel guilty. Even without realizing it, trying to decide if something is a need or a want seems to be part of the process mothers go through in responding to their children. It’s as if needing something makes it o.k. but wanting it is not. 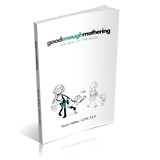 Many mothers today are struggling with the feeling that their children are over-demanding. There is a kind of moral judgment that wanting things is bad. Children want lots of things. Most of the conflicts between mothers and children are over a child wanting something Mom can’t do, doesn’t want to do, or feels it inappropriate or unwise to do. Like the Mom quoted, mothers may at first feel that the requests are acceptable, but then start to feel angry with their children for asking. Many mothers describe a scene in which a child’s escalating requests lead not only to Mom’s “no”, but an insistence that the child learn he is wrong for asking. There is nothing wrong with children wanting things. There is nothing wrong with Mom not giving a child everything he wants. The problem comes when a child gets Mom’s anger and the message that he is “bad” for wanting. The child then gets angry in turn and lets Mom know he thinks she is bad for saying no. That’s when a simple conflict turns into a conflagration. Sometimes we unwittingly participate in this kind of escalation because it may be easier to just say yes. Nobody likes dealing with a child’s protests – which sometimes come in the wrong place at the wrong time. But what seems like the easier path often turns out to be more difficult in the end. From the child’s point of view increasing his protests may seem like the way to go. Mom and child end up in a tug of war in which one or the other may feel defeated, but in which no one really wins. It’s not surprising that children protest when they don’t get what they want. When you stop to think about it, so much of what a child is required to do is what Mom wants and he doesn’t: go to bed, get dressed, wash hands, stop playing, no more tv – and lots more besides not getting what he wanted at the store. “Why do I always have to do what mom wants?” You could sympathize with his plight if his objections weren’t making life more difficult. In the conflicts that arise, children are not only seeking to gratify their wishes, but also struggling to be in charge of things over which they have very little control. Understanding that can help us be more sympathetic in our responses. It’s hard not to get what you want. But sometimes it’s hard not to give it. And that’s when we get angry at children for asking.